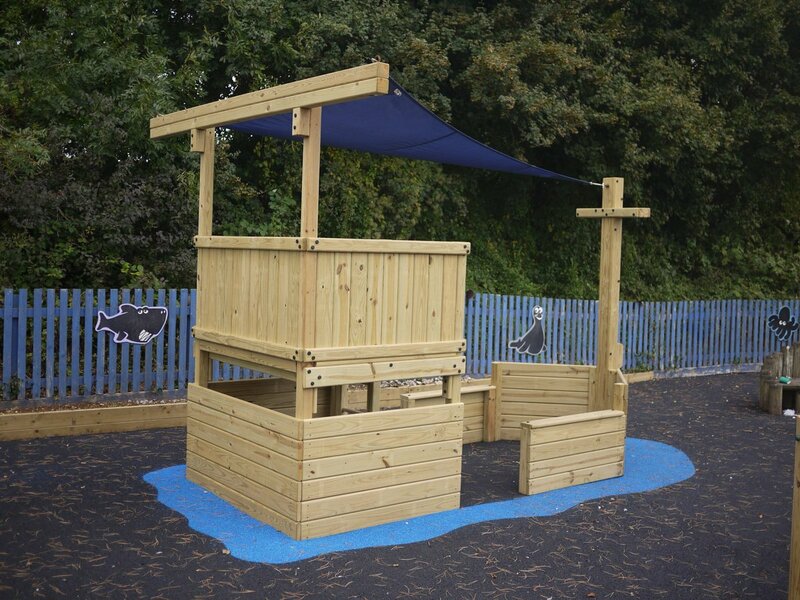 All our playground sandboxes come complete with lift-off timber lids with handles so you can keep the sand clean when not in use. And there is a permeable membrane base so water can drain away. You can also add the option of a weatherproof roof to protect the children from the sun. Remember though to regularly check the sand inside the sandbox for any extraneous items – sharp or pointed objects can get hidden and cause injury. We recommend only using special washed playground sand in our sandboxes. As well as being more pleasant to use it is also safer. Depending on the degree of usage be prepared to replace the sand as required. See images below for details or inspiration. Interested in other playground structures ? There is plenty more you can put in your playground to entertain your children. As well as our huge range of climbing equipment we have a selection of playhouses which are perfect for socialising and staying out of the weather. We make all this equipment ourselves in our own factory so we can be sure of the quality. And this also means we can create a bespoke structure for you.